HQ The RLC has just finished hosting Ex LOG CHALLENGE, which is now in its second year. 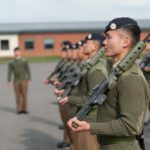 The exercise advertises some of the roles and responsibilities of the RLC to Officer Cadets (OCdts)in the University Officer Training Corps (UOTC) and those on the Defence Technical Undergraduate Scheme (DTUS). OCdts visit eight informative stands that each hold a competetive element and a trophy is awarded to the winner. 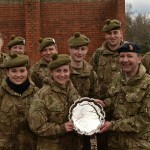 The main focus of the weekend was to introduce the key capabilities of the Corps in a fun and relaxed environment, whilst providing a framework to allow OCdt’s to develop their team work and leadership skills, completing a series of mental and physical challenges; the winning team returned home with some silverware for their trophy cabinet. 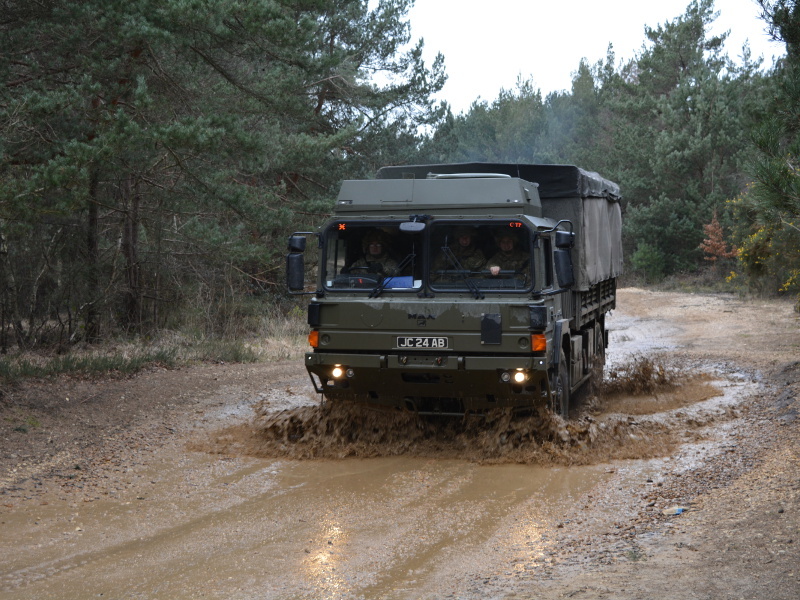 The OCdt’s were hosted at Princess Royal Barracks, Deepcut, and spent the Saturday out on the training area, navigating between eight different stands. 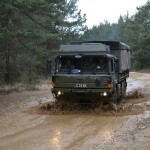 The Corps provides a wide variety of vital services to the Army and OCdt’s were faced with tasks such as recovering a 15 tonne truck, building and utilising improvised ovens, moving ammunition boxes under fire and diffusing a suspect device to name but a few! 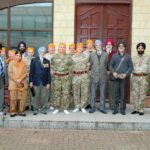 With somewhat wind-burnt faces the OCdt’s were treated to a formal regimental dinner in the Headquarters Officers’ Mess. Hosted by serving officers, and served magnificently by the Mess staff, they dined on a three course meal whilst a saxophone quartet provided entertainment. 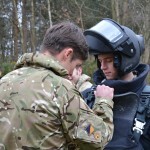 The weekend’s activities culminated in a Sunday morening trip to the Royal Military Academy Sandhurst, where teams – nursing slightly sore heads after the previous night’s dinner – competed for a final time to see who could complete the Academy assault course in the quickest time. 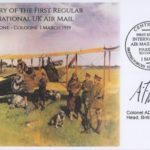 For many who aspire to commission this was a fantastic insight in to what awaits them and the excitement was converted into some excellent performances. The weekend was a huge success and feedback from those attending was very positive. 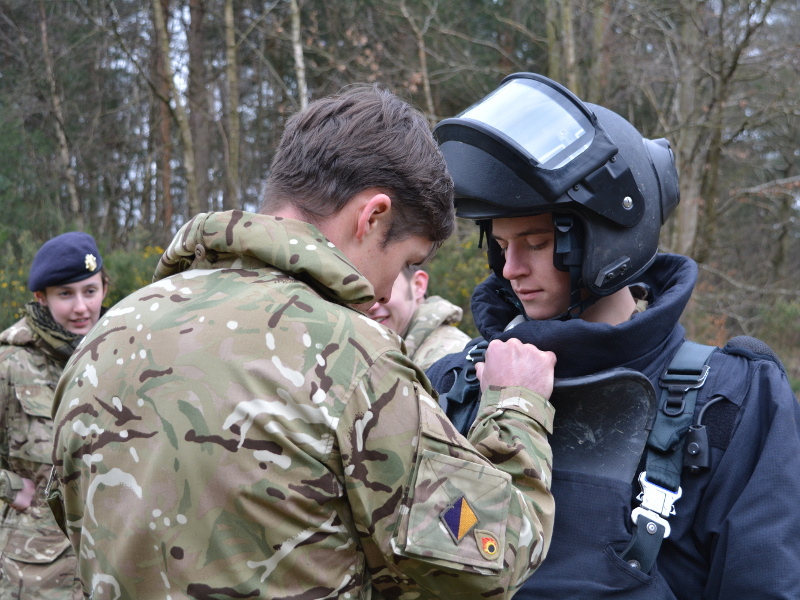 As well as having a thoroughly good time, OCdt’s were able to better understand how the Corps operates. Whilst not the main effort, all left with a better understanding of the opportunities available for junior officers and may now consider the RLC as a potential career choice. 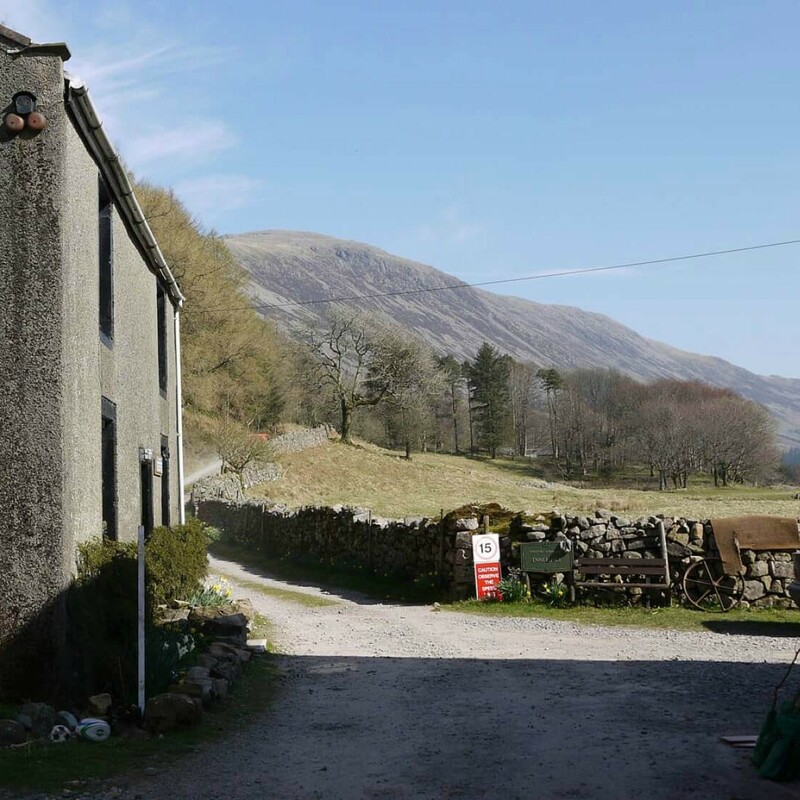 â€œAll of the stands were interesting; my personal highlight being the off-road drive, where we could talk to the soldiers themselves about their backgrounds, how they came to join the RLC and challenges that they faced with day to day work. Next year’s event will take place 24-26 Feb 17 and the Corps is looking forward to building on this year’s success. 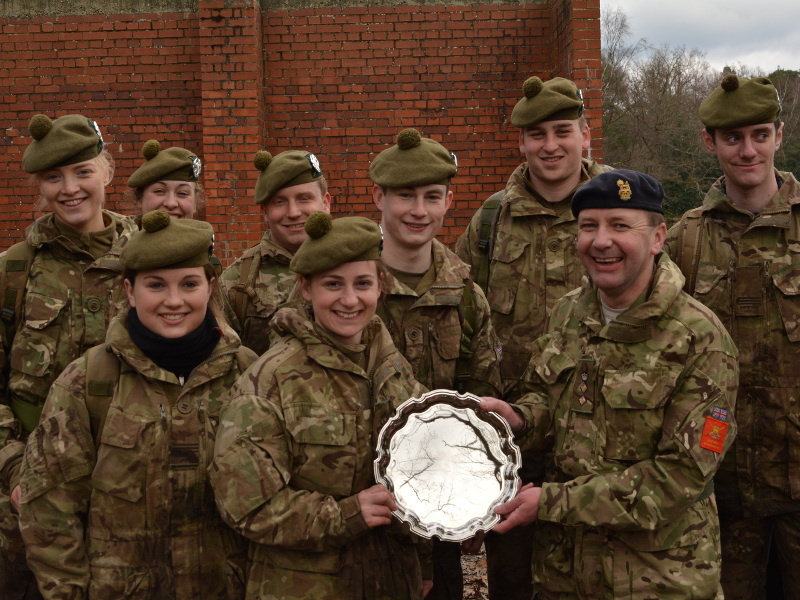 Speaking of success, congratulations to the members of Aberdeen UOTC, who won the prize. 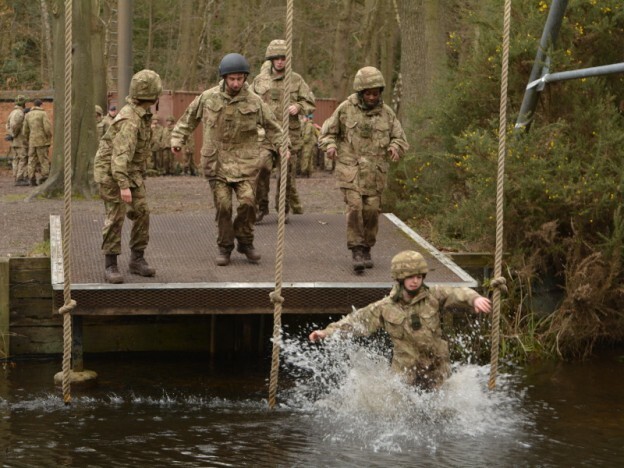 A special mention must also be made to Wales UOTC, who tied the event on points and only failed to take the trophy home by dint of a marginally slower assault course time, the tie breaker for the competition. For more information about The RLC, or to book a place on a potential officer visit, please email RHQRLC-CRLO-PersRec-SO3@mod.uk.